Set up an invitation to decorate play dough Christmas trees with this easy, no-cook play dough recipe and jars of decorating materials! 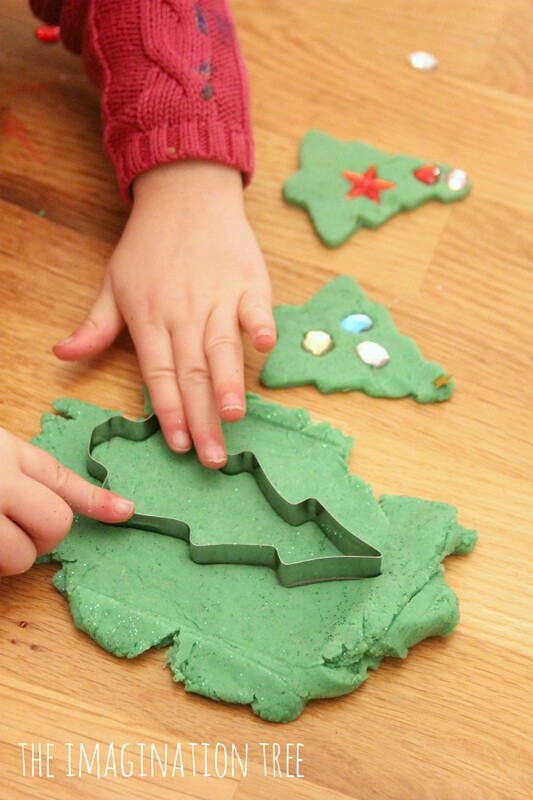 A great fine motor, creative Christmas activity for kids of all ages to enjoy! 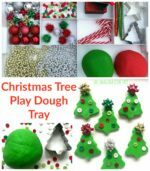 Here’s a Christmas craft activity we enjoyed last year in the busy run up to the big day that I saved to share this year! 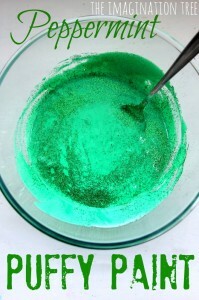 When it was cool we added lots of green glitter to make it SPARKLE! 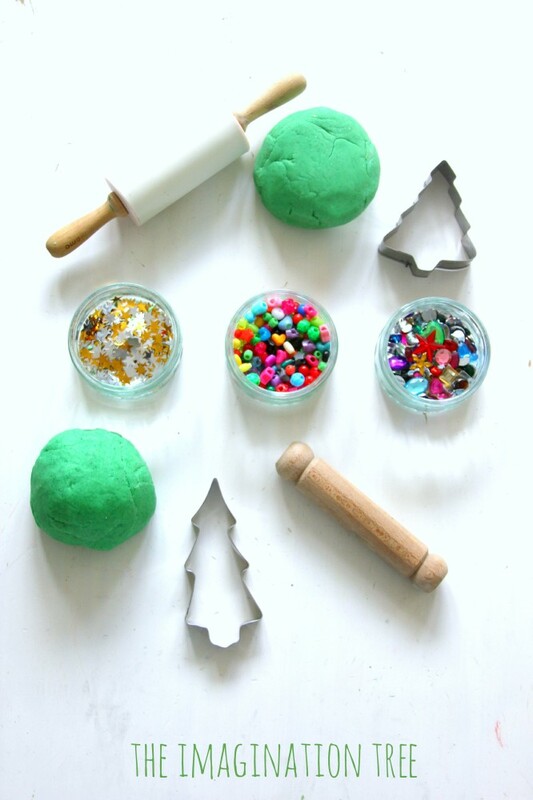 Next to this we set out little jars containing gold and silver stars, coloured beads and gems, and large shiny sequins, alongside rolling pins and Christmas tree cookie cutters. 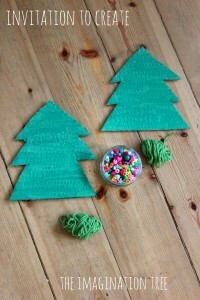 This was considered huge fun as a Christmas activity to get them in the mood for tree decorating! 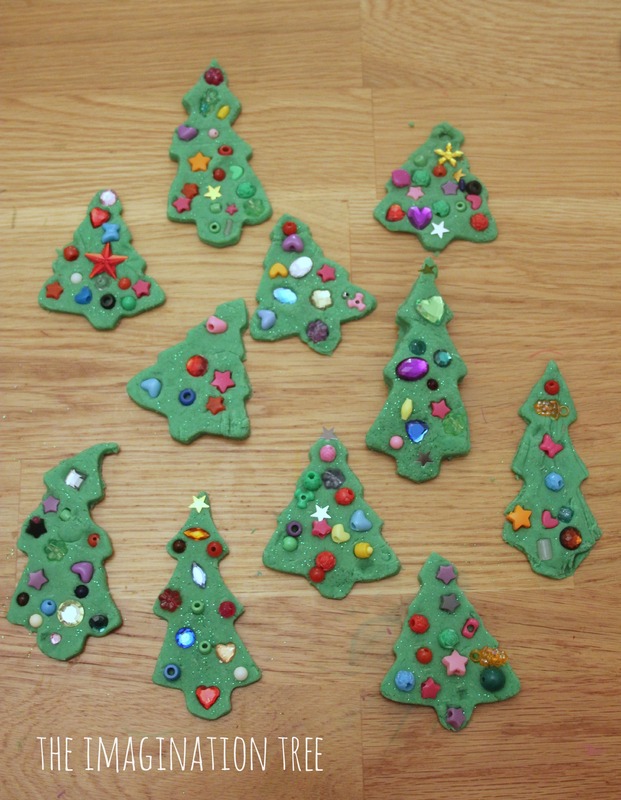 They each rolled out their lumps of dough and cut lots of tree shapes ready to start decorating. Even with the same base materials, they all made unique versions of the trees, some with stars on the top and all looking very sparkly and beautiful! They practised their fine motor pincer grasp and lots of fantastic pushing and pinching skills as they played and sang and decorated together. 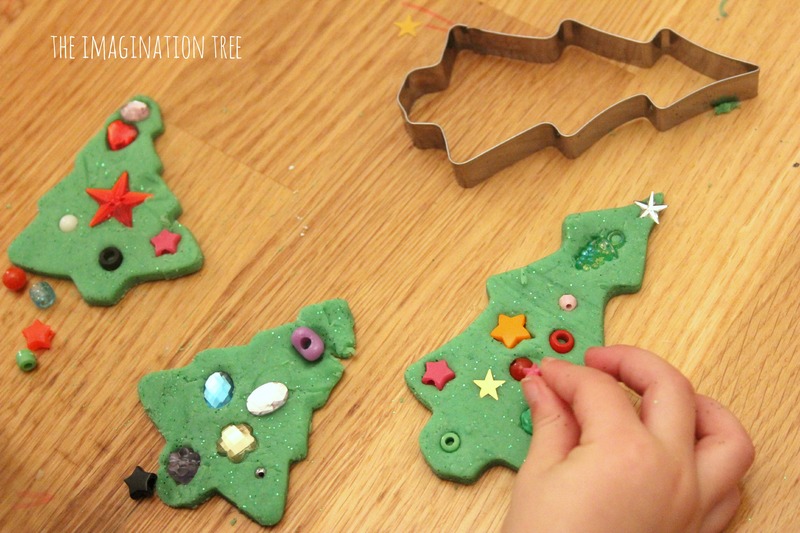 As it was play dough we had to take these apart again, but try substituting this recipe for our super-quick salt dough instead, and you could even leave in some of the decorations as the dough dries hard! 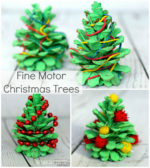 Follow our CHRISTMAS IDEAS Pinterest board here for many ideas from around the web! this is a great activity but I would be very concerned about choking hazards for kids under 3 with the beads, etc.. would be great if you could offer other decorating ideas for younger toddlers or clarify that this really isn’t appropriate for that age – thank you! 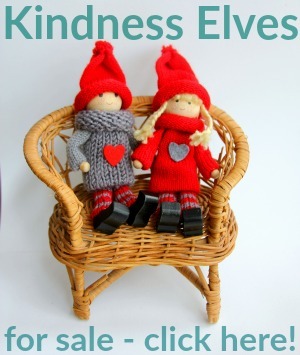 I think as with all activities that I post about, parents and educators need to use their own discretion and knowledge of their own children before using materials. I can’t say it’s not appropriate for all under 3s because my 2 year old would be absolutely safe with it, but someone else’s may not. Common sense is all that’s needed! My current 2 1/2 year old is fine with this kind of activity but one of my other children would have had a bead up his nose for sure at the same age!! You’ve got to know your own kids and of course keep activities like this for when you will be around to supervise little ones. 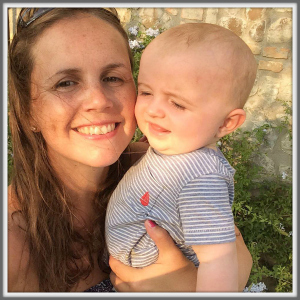 I don’t add safety warnings to my similar blog posts because I would have to keep repeating it for almost every one and I figure parents who are going to go to this much effort with their kids will have the common sense needed to go with it. Such fun! 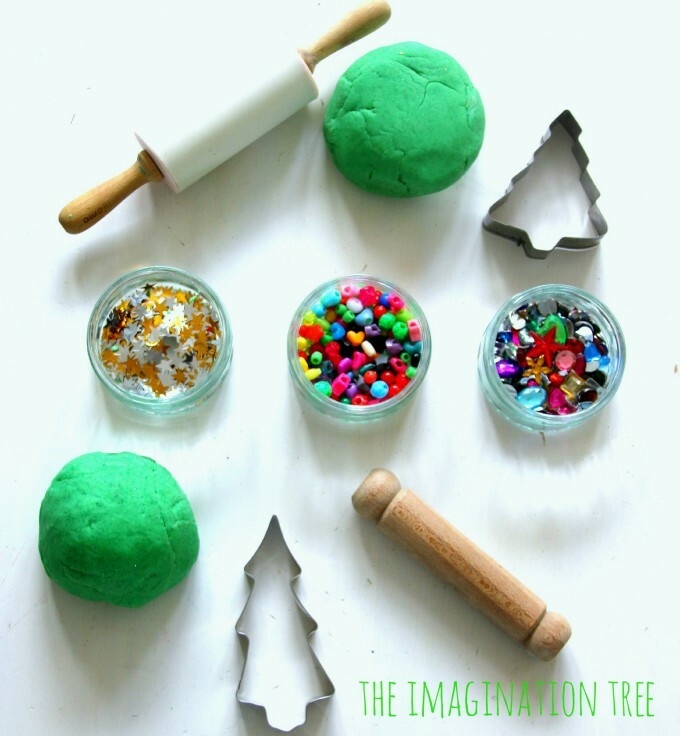 I love what your kids came up with, and I love the variety of materials you set out for your kids to enjoy. 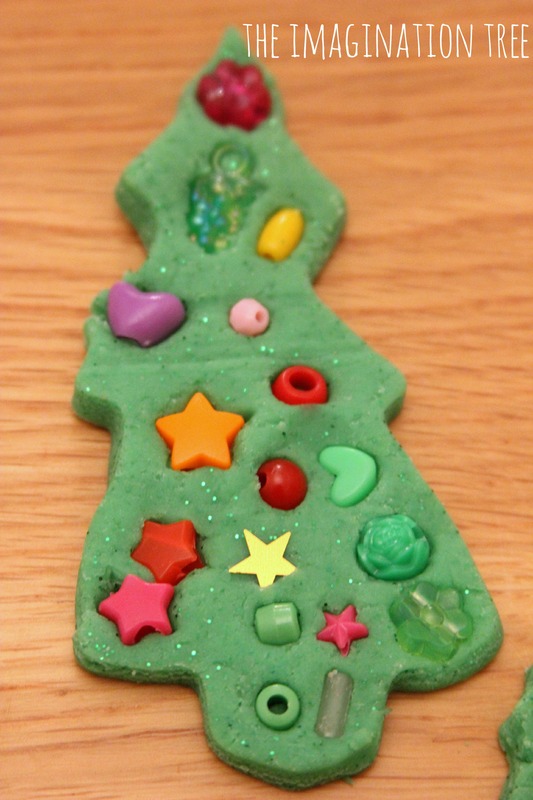 Now I need to go look for my Christmas cookie cutter set! 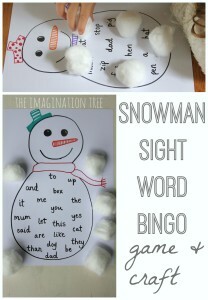 I’ve just done this activity this afternoon with my toddler ! I didn’t know your blog yet ! it’ a great activity, the Christmas tree looks so beautiful ! beans and consequently dried beans are the ideal method necessary protein. additionally, they started own storage compartments and purses by lot of fashion designers that you’re sure to love.